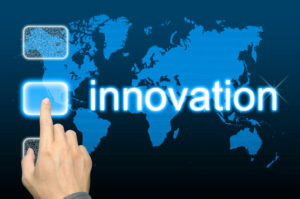 Are you a technology-focused company developing innovative new products or services? Are you a small business serving a high growth sector of the market? VtSBDC advisors are here to help technology-driven entrepreneurs and businesses gain a competitive advantage in the commercialization of their innovations. We also assist high-growth small businesses in obtaining grant funding for research and development as well as advising on positioning themselves to attract outside investment. NOTE: Anyone contemplating a SBIR/STTR grant application should be aware of this excellent set of tutorials developed by the SBA. Covering the complete grant program, everything from “do you qualify” to “how to write the grant,” it’s a must read for anyone considering a grant application. The tutorial is particularly valuable in guiding grant applicants to appropriate open opportunities at all agencies within the SBIR/STTR network. TO GE STARTED NOW CLICK HERE FOR A COMPLETE ONLINE TUTORIAL WITH MORE DETAILS ON THE SBIR AND STTR PROGRAMS! To receive information about technology and commercialization services please contact the VtSBDC Lead Center at (802) 728-9101 or by e-mail at sbdc@vtsbdc.org.